Egypt’s Leading Automotive Assembler and Distributor Calls on Cisco to deploy the latest Network Infrastructure Technology Solutions and to deliver free ICT Skills Training. 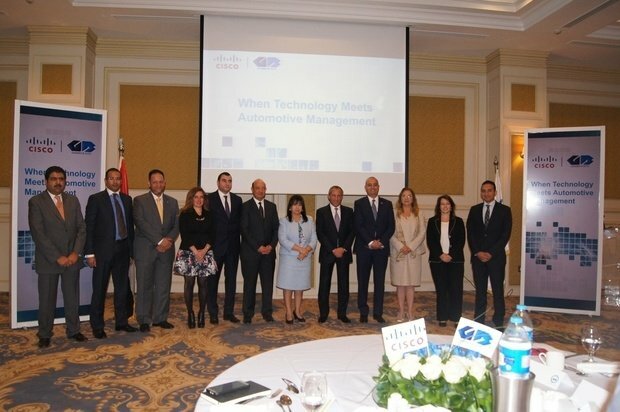 Cisco and Ghabbour Auto (GB Auto), leading Automotive Assembler and Distributor in the MENA region, announced that they will be strategically collaborating on two major initiatives. Cisco and GB Auto will engage on a CSR programutilizing the GB Academy to provide much needed ICT skills training to Egyptian citizens, free of charge, to help them embrace the growing technology advancements in today’s Internet of Everything era (IoE) and equip them with the new technical skills required for jobs of the future. Cisco will offer switching, routing and wireless solutions, and Cisco Data Center solutions (blade enclosures and servers).GB Auto’s collaboration technology infrastructure will also be enhanced to enable employees to engage and innovate anywhere; on any device thereby facilitating improved communications between the employees in all GB Auto branches throughout the MENA region. 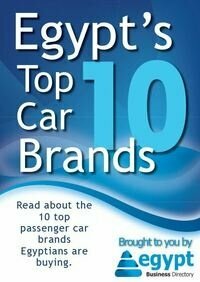 Future plans include installing Cisco video conferencing solutions in some of GB Auto’s remote sites in Egypt and other MENA countries. "We are delighted and honored that GB Auto has chosen Cisco’s technology solutions for its network. This will facilitate a seamless yet secure deployment to create a truly 21st century technology infrastructure. As the needs of its customers and employees grow, we will work with GB Auto to continue to jointly to expand its technology infrastructure capabilities accordingly to stay ahead in an environment of increasing competition" said Ayman Elgohary, General Manager Cisco Egypt. GB Auto owns GB Academy, created in partnership with Toronto’s Centennial College, which operates a Cisco Networking Academy - one of the first automotive-specific training academies in the region. GB Academy will provide free technical training to the communities throughout Egypt. The training will comprise 10 courses and certifications available through the Cisco NetSpace online learning environment which combines best-of-breed cloud-based applications for teaching, learning, and collaboration, to enable an interactive and engaging learning experience that aligns with the latest educational models, trends, and best practices. It will incorporate a full offering of technical and non-technical courses to include Foundational ICT Skills, General ICT Skills, Essential Technologies Skills and Career Skills. Furthermore, Cisco Video Conference Collaboration solutions will allow the GB Academy to provide the same training at the same time to all the classes across Egypt thereby maximizing the number of students within its reach yet at the same time minimizing the logistics time and costs.